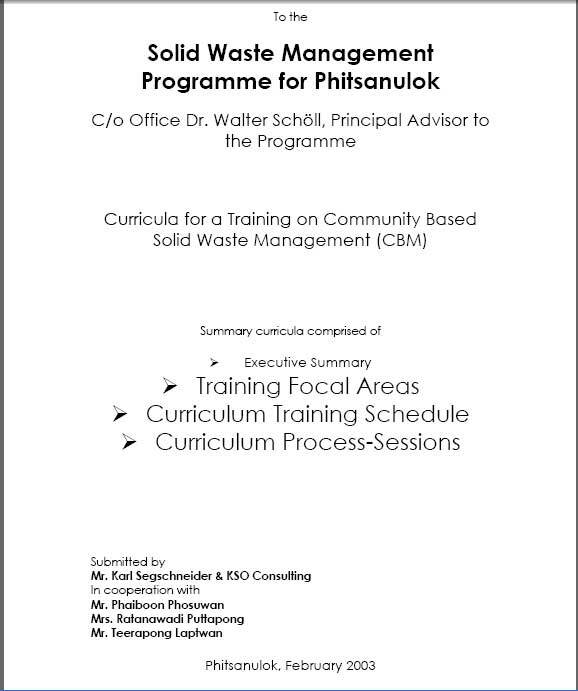 Solid Waste Management Programme for Phitsanulok. 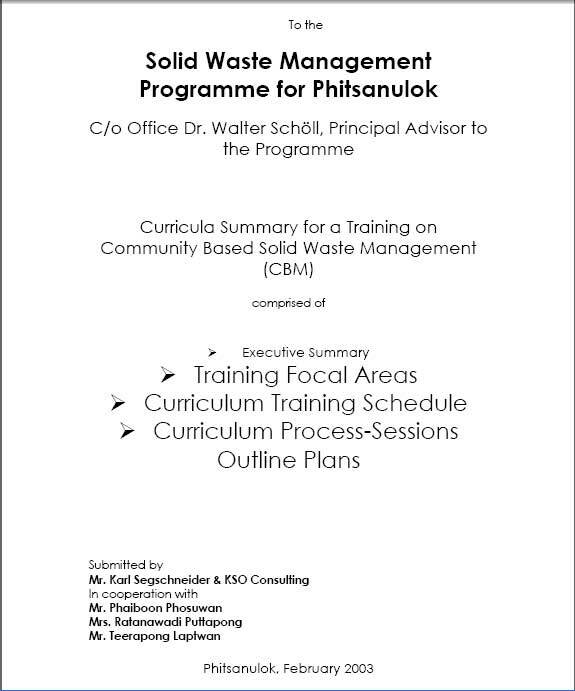 Summary curricula for a training on Community Based Solid Waste Management (CBM), comprised of Executive Summary, Training Focal Areas, Curriculum Training Schedule, Curriculum Process-Sessions Outline Plans. 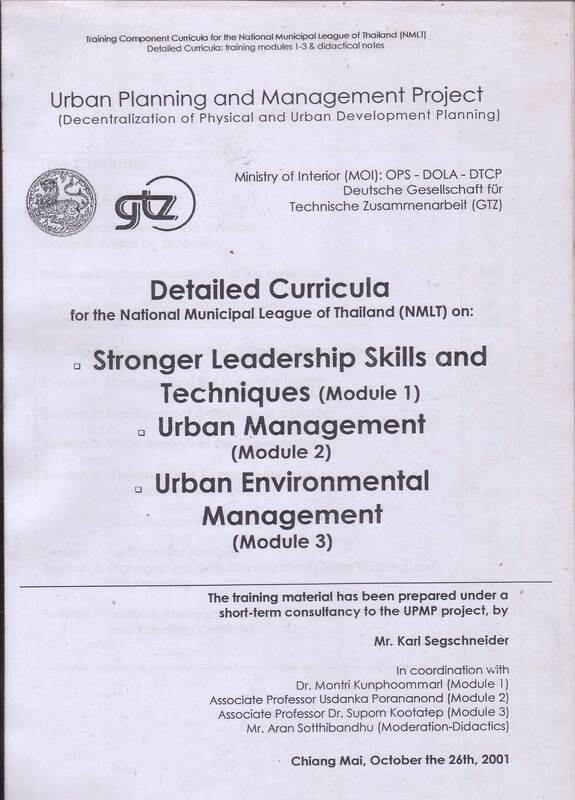 Curricula for a training on Community Based Solid Waste Management (CBM), comprised of Executive Summary, Training Focal Areas, Curriculum Training Schedule, Curriculum Process-Sessions Outline Plans.